Does Your Business Need Local Instagram Followers? BlogGet Local Followers On Instagram, Here’s How? Get Local Followers On Instagram, Here’s How? 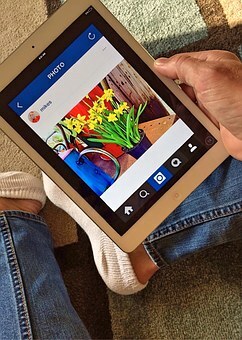 A local business needs one thing and that is local followers on Instagram. How do you channel these followers? They are right there waiting to be snatched up. You just need to push them towards your sales funnel. Many businesses think taking good photos is the end-goal. It is not as easy and quick as that. You need to get into the thick of action. A small business has many constraints, one of them being you run on a small budget. However, this should not create a barrier of any kind. An Instagram marketing strategy can still get local followers to become part of your established customer base. First, let’s look at how local followers benefit your business. People enjoy using local hashtags such as their exact location, like their city, in their posts. Local hashtags will give you some credibility in the community, and will get the locals to engage with your business. Why not start a conversation with the most recent local post. You can even leave a comment or an emoji. Interacting with recent photos means these folks are likely still on Instagram on their phones with their followers. This gives you access to not only them directly, but the followers too will take notice. This is a good chance at making an impression. Stir their curiosity. Get creative on this. Leave a question that gives them a creative buzz. For instance, you can quote their exact location and say, you are my almost neightbour, did you know that? This kind of question gets people talking. Delve into the Instagram’s follower’s mind. What do your followers like, dislike, enjoy or rail against. Get to know them a bit better. As you continue to gain local followers, keep up with the interaction. Continue to comment, ask questions and like their photos. Eventually, they will start following you back. Now this may take time, but keep persisting. Include your location in the Instagram username. If there is a business nearby and it has your target audience, it means they are already receiving foot traffic. Follow them, you might attract their traffic to your business. If you want to attract a local business or business owner, search for targeted keywords. Once again you should check out the most recent post, and start leaving comments or questions.